The American Indian Head was a coin that departed from all other precedents of United States coinage. Minted in Philadelphia and Denver from 1908-1929, the Indian Head coin had an unsuccessful circulation period and many of them were lost. 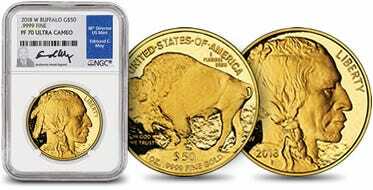 Because of this, the coins are rare, making them desirable to modern-day collectors. The obverse (front) of the coin displays an image of an Indian chief adorning a traditional headdress and the year of mintage. The reverse features Bela Lyon Pratt’s “standing eagle” motif, the face value, and “In God We Trust”. 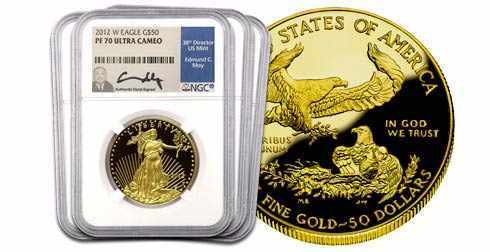 Each Half Eagle Indian Head is composed on 90% gold and 10% copper and has a face value of $5. 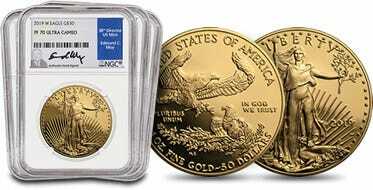 Each coin weighs 8.359 grams with a diameter of 21.6mm, a reeded edge and .24187 oz of pure gold.